5 Things to look for when you’re house hunting | Southern Realty Inc. 5 Things to look for when you’re house hunting – Southern Realty Inc. 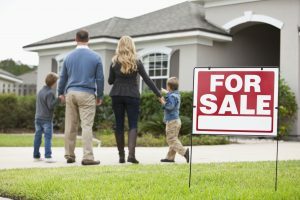 If you are looking at buying a home, many aspects need to be considered. Here are a few key areas to look into before you pay your deposit. The Location – Your home may be ideal, but if you live in a not so good neighborhood, chances are that you are going to face some inconveniences. When looking for a home consider how far it is from your work, schools and its ease of access. You should also consider noise, traffic and access to parks, shopping, schools, and public transportation. The neighborhood – Look for communities that are pleasant and those that are clean. It is also essential that all the homes are roughly the same size as this means that the level of income in your neighborhood is relatively the same. The home’s curb appeal – The home you choose should match your sense of style and your lifestyle. Your choice of house should also match how much maintenance you are willing to spend regarding money and time. The size and floor plan – The size and the floor plan should match your needs. Therefore, you should not look for at a home that is too spacious as you will be spending too much money for space that you will not use. The bedrooms and bathrooms – Know clearly how many beds and baths you need, and look at homes that only meet this criteria. Looking at homes that don’t fit these standards are a waste of your time and will confuse your final decision.